A solar park planned for the Ocean Avenue landfill is finally up and running. A solar park planned for Portland’s Ocean Avenue landfill is finally up and running. The facility is the third city-owned solar project in Portland. The solar array positioned above the Ocean Avenue Dog Quarry Park is officially online, meaning Portland City Hall will be powered by the sun. The 1-megawatt solar power array now shares the title of largest city-owned solar project. Portland shares that honor with South Portland. Officials say the solar array has more than 2,800 panels that will produce 1.2 million kilowatt hours of electricity a year. It was the nearby dog park that was the inspiration for the project. “I walked my dog at this landfill and said to the group, ‘Have you looked at the landfill?’ No one had heard of it. So, I pitched it to the Portland Climate Action team and lo and behold, Revision Energy said it would be viable,” said John Hinck, a former state representative and member of the Portland Climate Action Team. 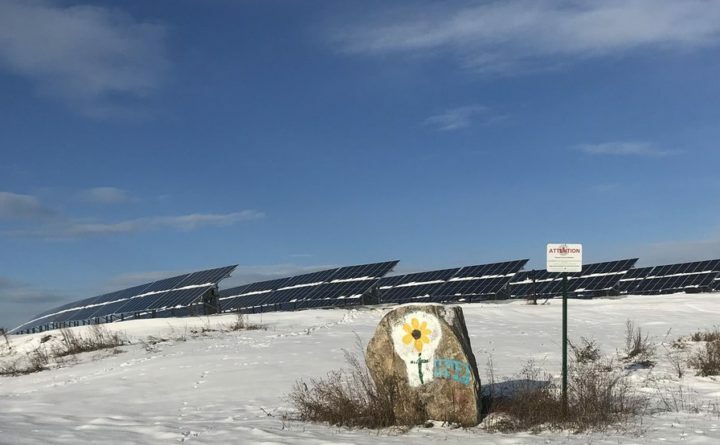 Four years later, the array has become the third solar facility in Maine to top a capped landfill. More are scheduled. City officials say it’s all part of a plan for Portland to be running on 100 percent renewables by 2040. Officials with Revision Energy say their next municipal project is scheduled to turn on next week in the town of Eliot.